The League of Arizona Cities and Towns wanted to offer its member cities and towns ordinance codification services. They chose American Legal to operate the program, which includes original codification of new codes, recodifying existing codes, and supplementing existing codes. The program also includes electronic publishing of documents on CD-ROM and on the Internet. Legal review services are also included in the codification program. 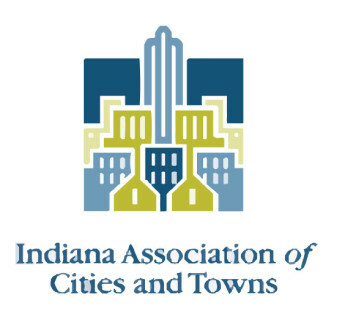 For many years the Indiana Association of Cities and Towns (IACT) had been concerned that its small towns were finding ordinance codification too costly to budget. Consequently, many towns had no Code of Ordinances at all. American Legal Publishing worked in conjunction with IACT to draft the Indiana Basic Code (IBC) — a model code covering a wide range of topics such as administration, nuisances, business regulations, animal control, prohibited conduct, and more. This product is now offered to these small towns at a cost that is significantly lower than the cost of Custom Codification. After providing codification services to its members for 70 years, the League of Kansas Municipalities chose American Legal to operate its program. More than 160 Kansas cities have used the LKM codification service to efficiently organize and update city ordinances. Through American Legal, services also include providing codes on CD and on the internet. Previously, the League of Minnesota Cities ran an in-house codification program, catering specifically to the needs of Minnesota municipalities. However, as the number of codification projects grew and the program became more complex, it became too difficult to provide the service to their members. They searched for a codifier with the ability and expertise to take on the responsibility. They chose American Legal Publishing and now we provide codification and information management, in conjunction with the League, for more than 200 Minnesota cities. The League of Nebraska Municipalities had been running their own in-house codification program. The demand for codification soon began to exceed the League’s internal resources, so in 1997, they asked American Legal Publishing to help. Now, we provide codification services for nearly 200 Nebraska municipalities. We provide a full range of codification services- new codes; recodification of old codes; and supplementation of existing codes, including 6 x 9 codes in the older League format. The League is always aware of the budget challenges faced by their member municipalities. It became an emerging concern to the League that its smaller municipalities were finding ordinance codification and supplementation too costly. Consequently, many municipalities were not keeping their code books up-to-date with state law changes. American Legal Publishing worked in conjunction with the League to draft the Nebraska Basic Code (NBC) — a model code covering a wide range of topics such as administration, traffic, business regulations, animal control, prohibited conduct, and more. The NBC is updated annually with state law changes, so that subscribing municipalities automatically have a code of ordinances that is up-to-date with state law, at a cost that is significantly lower than custom codification. The North Carolina League of Municipalities (NCLM) was concerned that the cost of codification was preventing the smaller towns in their state from receiving codification services. American Legal Publishing stepped in to help. Since 1980, over 200 North Carolina municipalities have taken advantage of the codification program established by the League and American Legal. In addition, the NCLM has also taken advantage of our electronic services including codes and meeting minutes online hosting. American Legal Publishing partners with the Ohio Municipal League (OML) to provide information management services. Acting as the official Folio Consultant for the League, we provide OML members with electronic versions of their meeting minutes or other documents. In 1997, the League of Oregon Cities undertook a nationwide search for a Program Partner and chose American Legal Publishing. We now provide a complete range of codification and information management services to Oregon cities and counties in conjunction with the League. Oregon clients may also contract with American Legal for a legal review and analysis of their codified ordinances. American Legal works with the South Dakota Municipal League to publish the South Dakota Basic Code, a complete model code of ordinances, based on state law, designed specifically for small municipalities in South Dakota. By utilizing the concept of shared cost to provide an economic alternative for codification, the South Dakota Basic Code allows South Dakota local governments to enjoy the benefits of codification without the substantial expense of a customized code. American Legal works with the Virginia Municipal League to publish the Virginia Basic Code, a complete model code of ordinances, based on state law, designed specifically for small cities, towns and counties in Virginia. By utilizing the concept of shared cost to provide an economic alternative for codification, the Virginia Basic Code allows Virginia local governments to enjoy the benefits of codification without the substantial expense of a customized code. American Legal currently produces and markets a CD-ROM version of the League of Wisconsin Legal Opinions, Attorney Institute Papers and other League of Wisconsin manuals in Folio Views®.